Tom Ford is known or his sensual yet sophisticated portraits of women. This scent is rich, deep and stands out from the crowd like the precious orchid. The scent begins with a blend of citrus, jasmine, truffle and black currant. The heart consists of the titular orchid complemented with fruity notes, spices, lotus and ylang-ylang. The lavish base consists of dark chocolate, vanilla, incense, patchouli combined with warm woody notes and vetiver. The fragrance comes in an elegant black bottle with gold details. 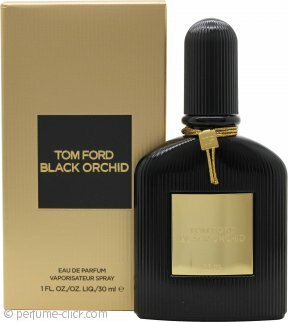 Black Orchid was the first fragrance to be released from the multi-talented American’s self-titled luxury brand Tom Ford. Black Orchid was launched in 2006.